We’ve also updated our logo. More than just looking good, our new website provides a lot more information on how we are working to eliminate the preventable causes of cancer, and tips that you can apply today. We’d love to hear what you think of the new website and newsletter. Please send any comments to us at info@preventcancernow.ca. 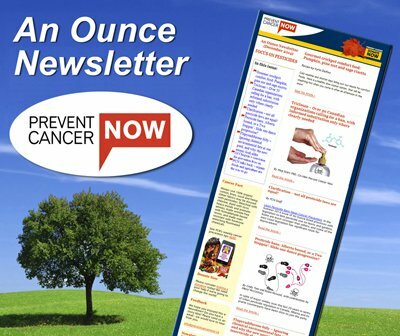 Prevent Cancer Now is happy to welcome two new board members. Renée Leduc is a biological research scientist living in Ottawa. She brings a good understanding of the science behind research and a personal perspective on cancer, as the daughter and daughter-in-law of breast cancer survivors. Renée is particularly interested in fact-based, public health education programs. Renée has been working hard as a fundraising volunteer for PCN for the past few months. Sharon Labchuk has been a leading force behind environmental activism on Prince Edward Island for the past two decades, working on issues around agriculture, forests, rivers, protected areas and toxic chemicals. Her work on the links between agricultural chemicals and damage to human and environmental health has been featured in several documentary films and books. Much of her work has focused on cancer, as 80% of the agricultural chemicals used in PEI are classed as carcinogens. A primary concern for Sharon is to raise alternative ecological and social visions to the current, industrially-focused ones. The Deep Ecology philosophy, with its hopeful, non-human centered approach, informs her practical work. Renée and Sharon fill a vacancy made by Guy Dauncey. (It took two people!). After many years of dedicated service to Prevent Cancer Now, Guy has decided to step down from the Board of Directors to focus attention on his next book. Thanks so much, Guy, for your leadership and passion since the inception of Prevent Cancer Now. The Board of Directors of Prevent Cancer Now met in the Gatineau Hills north of Ottawa last fall for a weekend planning session. Energy was high as the group identified key issues to tackle over the next year, as well as steps to building a national movement. An expanded Policy and Campaigns Committee has identified two major initiatives to begin this year. Non-Toxic Future is an umbrella campaign to reduce or eliminate toxins in our environment. It includes our current anti-incineration campaign, and will focus on one particular toxin or group of toxins in subsequent campaigns. PCN is currently seeking funding to expand the incineration campaign and to embark on work to address Canada’s shameful position on asbestos. The second initiative focuses on going organic. The Organic Nation Campaign is an all-encompassing campaign to go organic – in agriculture, clothing and beyond. The campaign will promote a move away from industrial agriculture to organic methods, support for locally-grown products, and smarter trade deals with respect to imported products. Looking more broadly, it will address tax shifting and pollution taxes to create a fiscal environment that supports healthy options.